On the death of Lenin in 1924, Joseph Stalin took control of the Soviet Union, instituting policies of nationalization and agricultural collectivization that fomented civil war and famine as well as cultivating a cult of personality. TIME described this public worship: "Joseph Stalin has gone a long way toward deifying himself while alive. No flattery is too transparent, no compliment too broad for him. He became the fountain of all Socialist wisdom" (1/1/40). 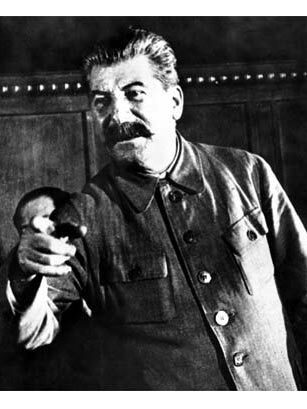 Stalin established a reign of terror that included mass arrests, executions and deportations. He also rallied his troops to beat back a German invasion in some of the bloodiest fighting of World War II. At his death on March 1, 1953, there was a mass outpouring of grief; at a 1956 Party Congress, successor Nikita Khrushchev denounced him as a murderer. Stalin was twice TIME's Man of the Year, for 1939 and 1942.